I am 21 years old and I have been dancing since I was 6. I have always had a passion for dance since I was little, dancing to any song anywhere I could (usually this was in my bedroom) pretending to be a pop star. 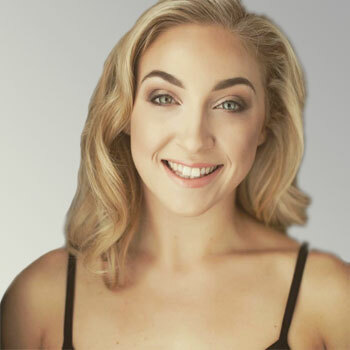 I have studied various dance styles over the years, I have danced in Cheerleading, Ballroom, Gymnastics, Street dance, Hip Hop & contemporary and currently training in commercial. In all my time dancing I never found what was truly me. 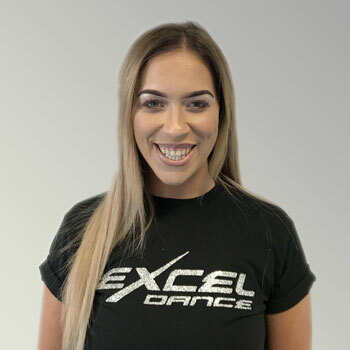 I came along to Excel Dance 7 years ago, and I was hooked. Since that day I danced in every class I could. I started assisting the kids classes; which I loved! 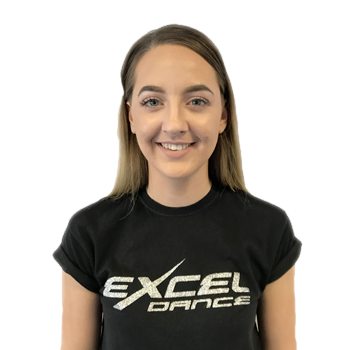 Now 7 years on, I am a full time coach at Excel Dance teaching from as young as 3 years old up to adults. It is the perfect job for me! I have always said "Let The Beauty Of What You Love, Be What You Do" - and that's exactly what I'm doing. My favourite part of been a coach is that i get to see all the students having fun and see them perform on stage. I also like choreographing routines with my team mates. I am excited to see the Excel Family grow even more. Want to start your free trial at Excel? Meet new people and build your confidence in our supportive groups. Our tight network of friendly coaches and dancers will become your best friends in no time. Learning complex dance movements and sequences will train your brain to focus more in your every day life. Amazing for young children's formative years. Dancing takes a lot of energy and so it keeps you really fit. Not only will your brain get a workout but so will your body too. I have being dancing for over 22 years now and I still love it as much today. 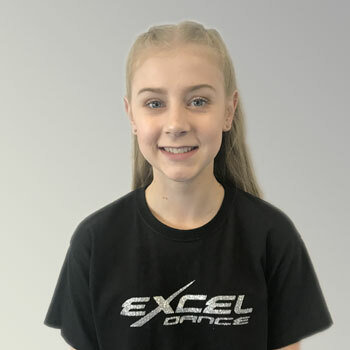 I started dancing at the age of 4 and have trained in many different styles such as ballet, tap, modern, jazz, disco, contemporary, commercial and street dance. I have been dancing at excel for 8 years now since I was 9 years old inspired by my little brother cole who also does dancing with me. My goal is to continue growing and helping others to grow and use my experience to do so. I am a professional dancer teaching commercial dance at Excel. I love working on technique and performance with students and making the sessions fun! 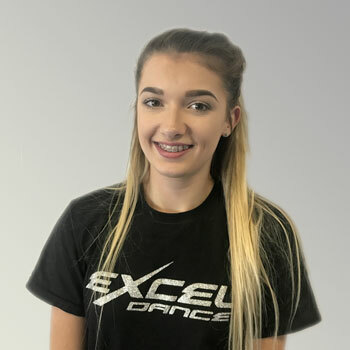 I have being dancing at Excel Dance for 7 years now training in street dance and I absolutely love it. My favourite part of Excel is getting the opportunity to perform all year round. 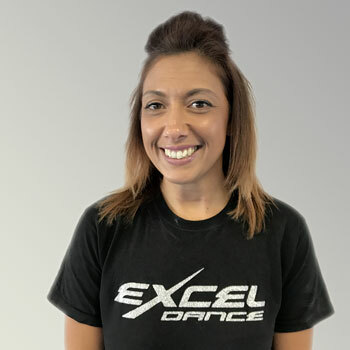 My name is Abby and I am one of the assistants in the kids classes at Excel Dance. I have being dancing for 7 years now in different styles. My favourite part of dancing is performing for others. I am Rachel, I have being on front of house for 3 years now. 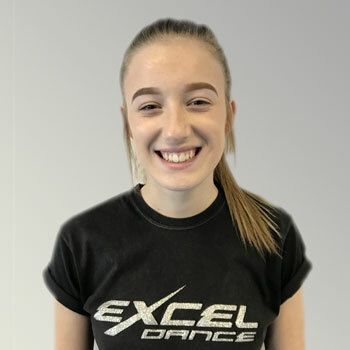 I couldn’t recommend Excel Dance enough to anyone! Look forward to seeing you on your first class. If you've got a passion for teaching and knowledge to share, we'd like to hear from you. We are always looking for people to join the team and help make Excel a better place to train. Looking for Excel Martial Arts?